Jennifer, a 30-something Scottish Working Mum recently released her first book “The Master Money Blueprint: How to Master your Money and Create a Powerful Money Mindset”, which you can purchase on Amazon for Amazon Kindle or paperback. Jennifer is also currently voted UK Money Vlogger 2018 and finalist for the UK Blog Awards “Finance Blog of the Year 2019”. My passion is helping others create financial and time freedom in their own life, and I believe it can be achieved on any budget just by following a few simple principles such as learning how to invest money. The freedom to know that you have more than enough money to design life on your terms and do everything you want to do can truly change your world forever. Often when I say I invest in the stock market, as a normal working mother from Glasgow, I get the same few responses: It is “too scary”, or “you could lose it all“, or “it’s too complicated and only for wealthy people to understand”. I promise you that after reading this blog post you’ll be one step closer to trusting the process of investing and know how to invest money – it’s easier than you think! Essentially when you set up a savings or trading account with an investment company (such as Vanguard) or a pension through an investment company, you deposit your money so that is then used to purchase individual stocks, funds, bonds or hold the cash for you. With any investment, this is not a short-term quick money scheme and we are not guaranteed to see return right away from investing our money. It is not similar to a normal bank account as the money is effectively used to buy a part of a company or loan for the length of time you choose to leave it. You need to invest your money for the long-term in whatever method you choose and ideally allow 5+ years for the natural dips and increases to smooth out your growth over time. We need to detach ourselves as much as possible from any current trend reports and trust that the markets will continue to increase overall as they have for 100+ years as an average. One principle that I love to teach others is the power of compound interest and your money, allowing it to work for you, rather than you having to work for money. We can use the power of compound interest whenever we store our money in investments or savings accounts allowing it to continue to multiple even when you are sleeping. Absolutely everyone can and should use the stock market and investments to grow their wealth long-term to help achieve their financial goals. In fact, when you have a savings account with the bank or even a pension you are using the stock market for returns – just the bank doesn’t share that with you. Hands down, any budget and anyone can achieve and work towards financial freedom (living off the interest of your investment for life) or even retiring early with some simple money strategies. 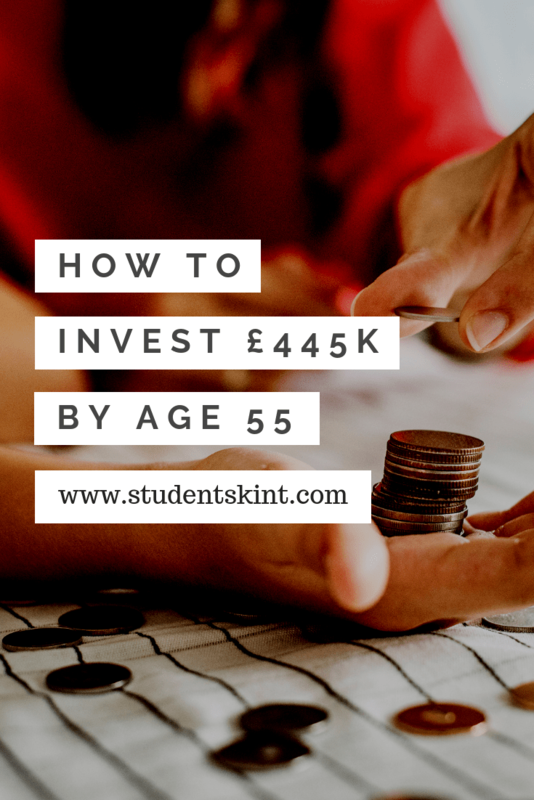 Here’s some motivation for you…if you were to start from the age of 18 and save just £100 a month consistently until your 55th birthday into an Investment ISA (so £1200 total a year out of your £20k maximum), you would have almost £445k in savings to retire at age 55 if we used a modest rate of return of 10%. How do we maximise our profits from investing? Ideally we want to buy our stocks low and sell when they are high; and the whole stock market globally will go up when we balance this efficiency balance of our choices. That means making sure we don’t “have all our eggs in one basket” and analyse our choices regularly, or allow someone else to do it for you using a mutual fund. Ideally we would want only 5% of our total investments in individual companies, if you wish to choose that route, and 1% in cash. This would allow our portfolios to remain balanced using the overall market for our growth rather than one company and the risk nature of that. Personally, I think there is no easier or simpler way to invest than through an Investment ISA (Individual Savings Account) in the UK which allows up to £20k per person to be saved tax free. It is a special form of savings account offered by many banks and investment companies that allows you to purchase stocks and shares with your money, and use the power of compound interest to see it grow dramatically. For example, if you were to invest in an Investment ISA from age 18 to 30 years consistently £200 a month, seeing a 4% average year on year growth, you could see roughly £38k in your savings at the end of those 12 years! There really is no better time to commit to a regular savings habit that will allow you to create income for your future in a straightforward way. We achieve this by learning the habit of “earning more than we spend” but also sending our money out on autopilot every month without fail towards our goals such as financial freedom or security through investing or business ideas. If you’ve enjoyed Jennifer’s guest post, make sure to read her blog and subscribe to her YouTube channel to find out more! 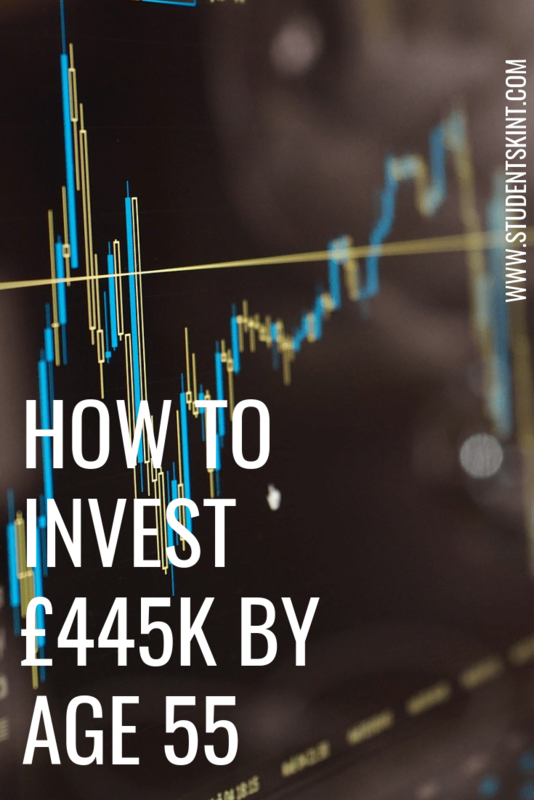 After learning about how to invest money in this blog post and the importance of it, I’m definitely going to check out the best interest rates and book an appointment with the bank to discuss an Investment ISA. Was this blog post helpful? Let Jennifer know by commenting below!